I think it’s the natural progression of things that the older we get, the more conscious we become of the passage of time. As the years go on, our personal relationship with time changes. When we’re kids, we can’t wait to get older so that we can get a job, drive, drink and “be free.” But as we age, we yearn for the relative freedom of youth, and each year brings us another step closer to our own mortality. The older we get, the more precious each year, each day, each moment becomes to us. For me, this phenomenon became much more pronounced after my daughter was born. When she was a baby, time seemed to stand still. I would gladly sit watching her animated expressions, playing with her on the neighborhood playground, taking her on walks to see the ducks in our local pond without a glance at the clock. Hours would pass by without notice. But now that she’s almost 15, our family time feels like a sacred gift. When she’s not busy at school, doing homework or community service, or hanging out with friends, we do everything in our power to slow down, put our work and technology aside, and savor every minute we have together. We know that she’ll eventually grow up, get a job, go to college, move out on her own, and start living her own adult life. This evolutionary change is inevitable. You can’t fight it. So instead we focus on building and strengthening our family connection, praying that we’re doing enough to create a lasting bond that will survive and thrive no matter what changes the future may bring. Perhaps it’s simply human nature not to fully recognize the miraculous beauty of our blessings until we realize the possibility of losing them. The same can be said for humanity’s relationship with nature and wildlife. After more than a century of taking it for granted, we are collectively starting to realize just how fragile our planet’s ecosystems can be. And nowhere we’ve ever traveled reinforces the precious nature of time better than Tanzania’s Ngorongoro Conservation Area. Six hours: That’s how long you have to explore one of the world’s greatest natural wonders. The gates open at 6AM and close at 6PM. If you overstay your 6-hour permit (which runs about $200 per vehicle, $50 per tourist and $20 per guide), there are steep fees involved. If you try to leave the Crater after 6PM, there will be high-ranking government officials involved. 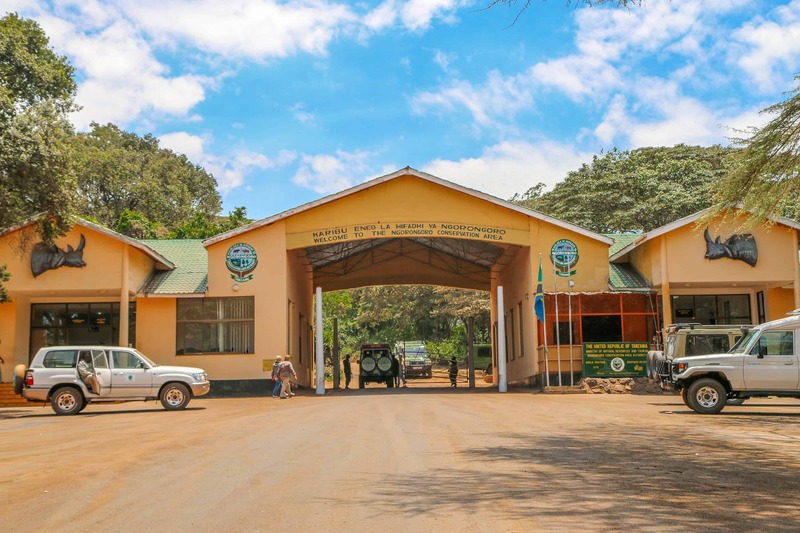 In short, Tanzania is serious about regulating Ngorongoro tourism. As a result, this UNESCO World Heritage Site is widely considered one of the world’s most pristine wildlife sanctuaries. In fact, when you look down on the world’s largest inactive, intact, and unfilled volcanic caldera from the viewing platform on its rim, the 100-square mile crater floor looks like open grassland virtually untouched by human hands since its formation two to three million years ago. There are no buildings in the crater, no picnic areas or restrooms. 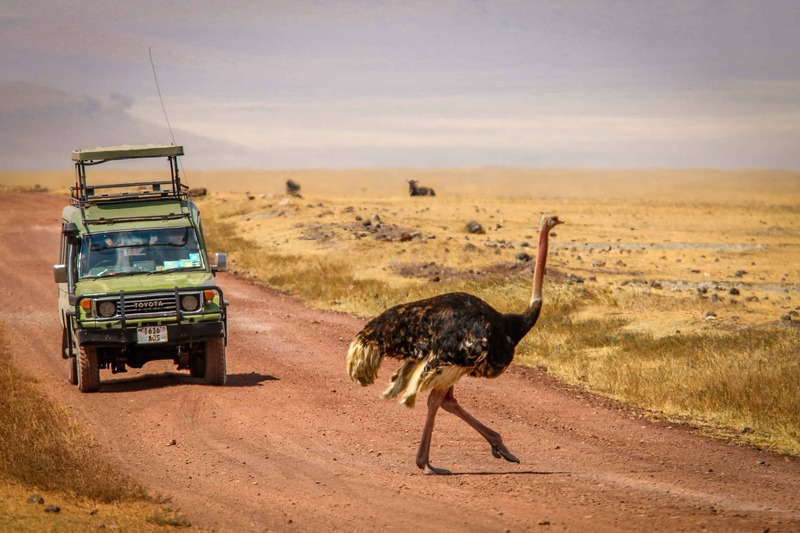 There are only one or two areas where you’re allowed to get out of the safari vehicle, and you must be accompanied by a licensed guide at all times. 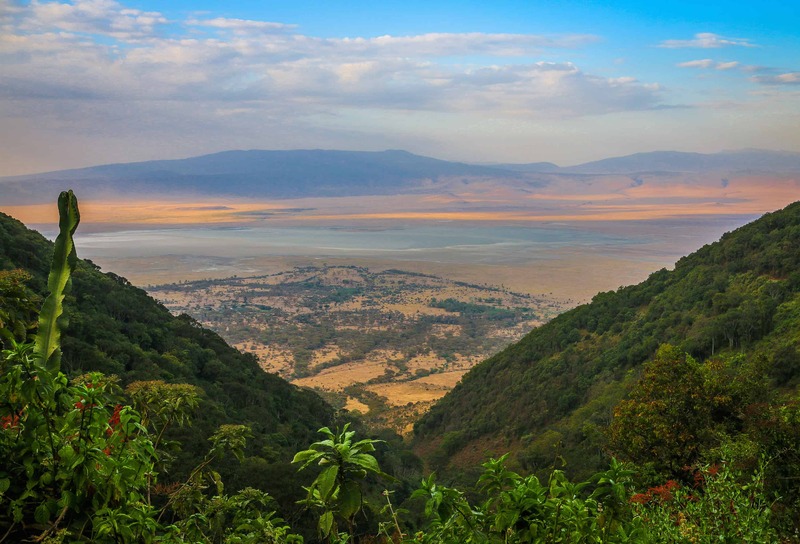 From above, the 10-mile wide Ngorongoro Crater looks like a vast, beautiful but empty expanse of nothingness. 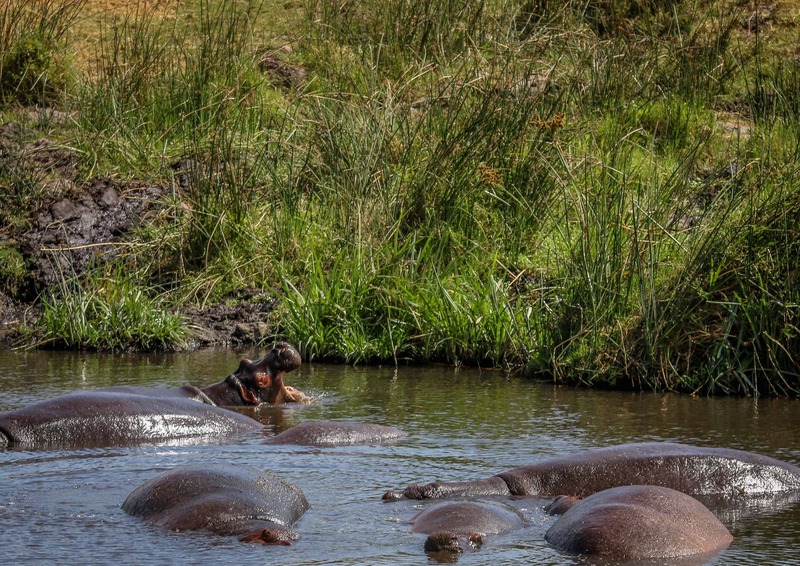 Which is precisely what makes your six hours of exploring the Ngorongoro Crater seem so magical. Once you’re inside, time seems to stand still, and the animals go on about their lives as they have for countless centuries, relatively oblivious to human presence. 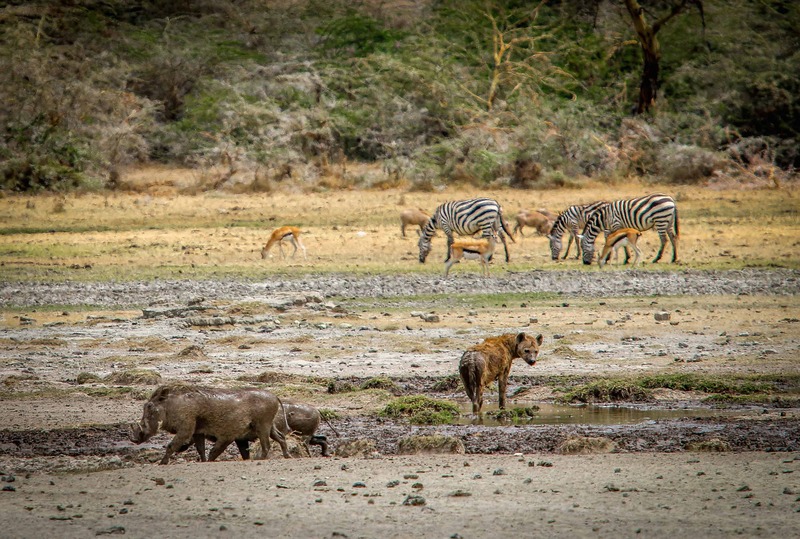 Although wildlife numbers vary widely depending on the time of year you visit, there’s an average of around 25,000 large animals in the Ngorongoro Crater at any given time. 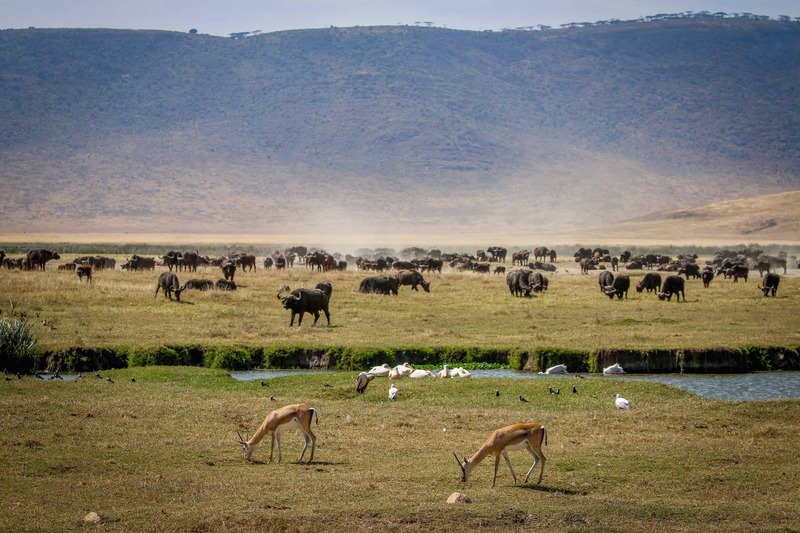 You’ll see huge herds of Grant’s Zebra, Cape Buffalo, Blue Wildebeest, and both Grant’s and Thomson’s Gazelles. Other ungulates, such as the Common Eland, Waterbucks and Hartebeest, can be seen in smaller numbers. We visited the Ngorongoro Conservation Area near the end of the dry season, when the Lerai and Munge Streams and the Ngoitokitok Spring provided a vital source of water to the Crater. Hippos and various bird species congregate here in numbers, soaking themselves to counter the scorching midday heat. I’ve spent around five weeks on safari in various African countries, but never seen such a great diversity of wildlife congregated together in one place as we did in Ngorongoro. At any given time there were at least four to five different species within sight. 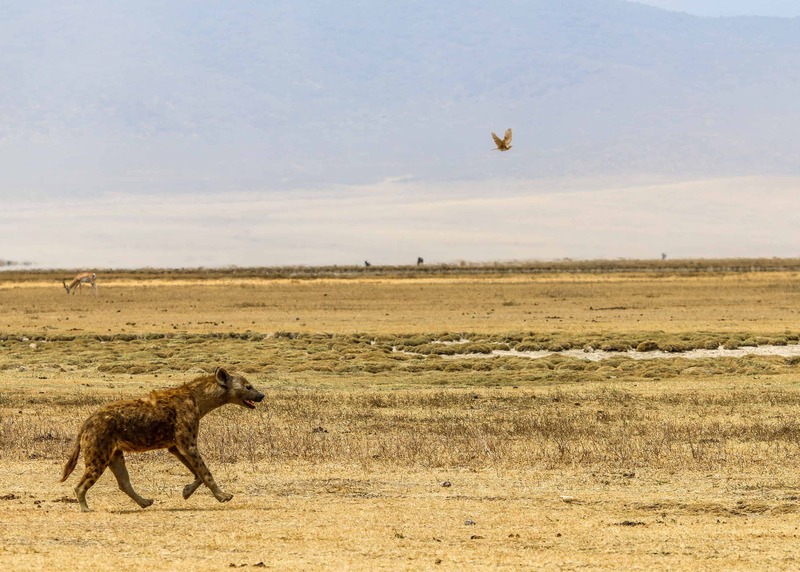 Although I’m guessing it was a temporary peace accord, individual predators (see: Hyenas) seemed to co-exist with their prey, including Gazelles, Warthogs and Zebras. Ostriches were a constant presence on the open plain. 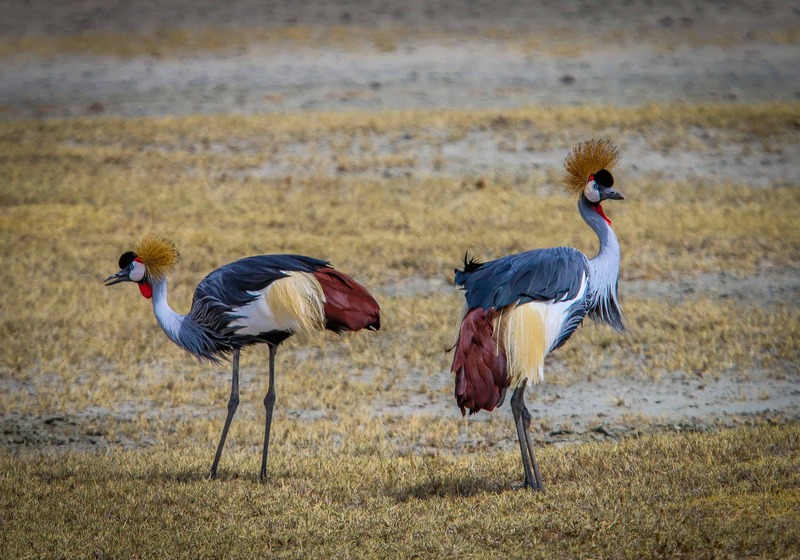 We witnessed a fascinating mating dance between a seemingly clueless pink-legged male and a more diminutive (and less colorful) female, who was coyly playing hard-to-get while shaking her tail feathers in a come-hither fashion. As small and densely populated as it is, the Ngorongoro Conservation Area is equally impressive for the animals you don’t see. Fierce predators such as the African Leopard, Cheetah, East African Wild Dog, and Serval inhabit the park, but are rarely ever spotted by visitors. There’s a small population of critically endangered Black Rhinoceros, but rangers try to keep them in an area inaccessible to humans in order to protect them from poaching. Despite the fact that the Crater forms a natural enclosure, some Ngorongoro Conservation Area residents are seasonal. Many Buffalo and Eland head north with the Great Migration at the beginning of the dry season, which lasts from June to October. Thousands of Lesser Flamingoes annually flock to salty Lake Magadi to feed and breed, but we didn’t see any during our visit. We’ve seen some stunning photos of Elephants in Ngorongoro, and spotted some relatively fresh dung on the road leading out of the crater. But our Tanzania Journeys guide, Rama Mmasa, told us that these deceptively excellent climbers tend to leave during the dry season. Like most things involving wildlife, seeing Elephants in the crater is all about timing. The sun was beginning to dip in the sky as we made our way towards a stretch of Acacia trees lining a stream at the far end of the crater. We knew our time was running short, but Rama had a hunch that there might be leopards napping in the shade of the trees. There were no Leopards to be found, but we did spot a couple of safari vehicles stopped in the road (which usually means there’s something good to see). 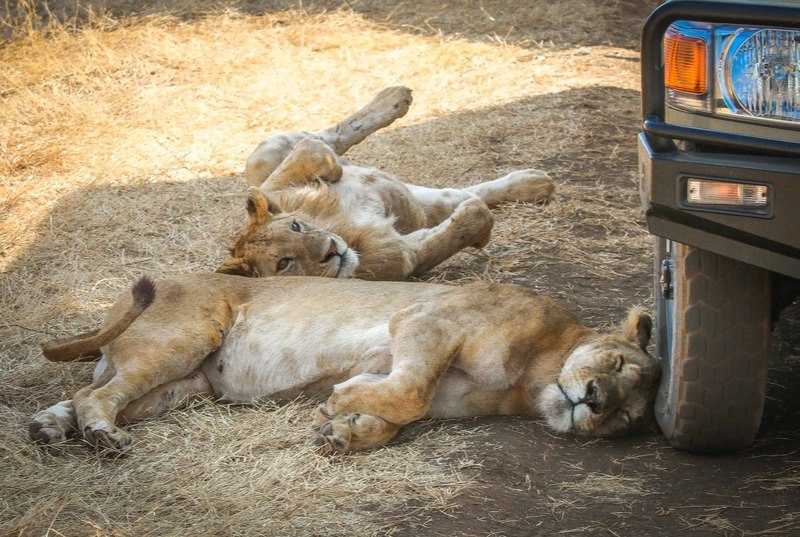 Sure enough, as we got closer we saw two Lions snuggled together in the shade of one of the Land Rovers. The mother was resting her head on the wheel well, while her adolescent male cub used her as a pillow. Knowing this was likely our last major sighting of the day, we sat watching them quietly for quite some time. Eventually a group of five other Lions crossed the open plain behind us to join them, and then several others wandered in after that. Finally, the entire pride of 11 Lions wandered off into the trees, and our time in the Ngorongoro Crater was drawing to a close. I was overcome by a feeling of wistful melancholy as we drove down the dusty dirt road towards the exit gate. I was struck by the fragile beauty of the myriad different ecosystems found within the crater, and the wildlife that had lived here for countless eons before the Maasai people arrived in search of a permanent settlement in the 1800s. The Maasai called this land El Nkoronkoro– Gift of Life. 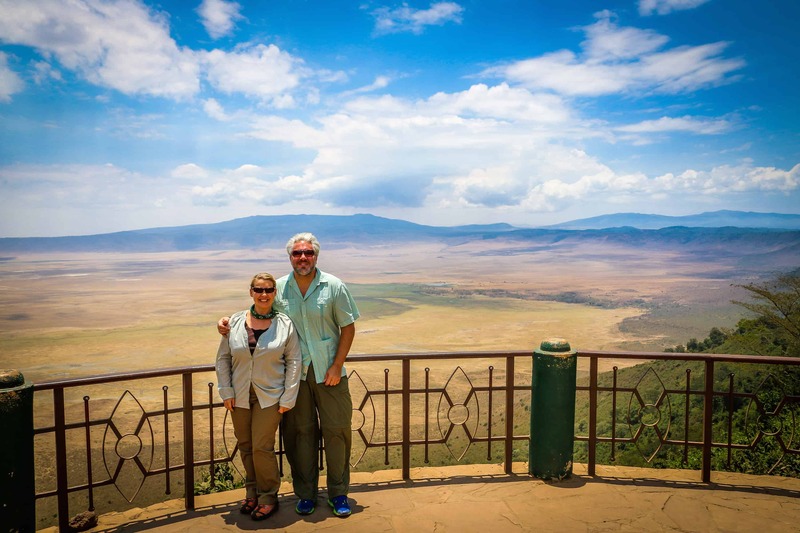 Our time for exploring the crater was limited, but it gave me a greater appreciation for the wondrous gift the Ngorongoro Conservation Area is. As Rama sped uphill towards the exit, less than 10 minutes to 6PM, I looked out over one of the most gorgeous sunset vistas I’d ever seen and urged him to stop for one last photo. Our trip to Tanzania was sponsored in part by Adventure Life and Tanzania Journeys, with safari clothing provided by ExOfficio. But we will never compromise our integrity at the expense of our readers. Our opinions remain our own. The co-founder of Green Global Travel and Green Travel Media, Bret Love is a journalist/editor with 21 years of experience. He’s been published in over 100 publications, including the Atlanta Journal-Constitution, National Geographic, Rolling Stone and Yahoo Travel. 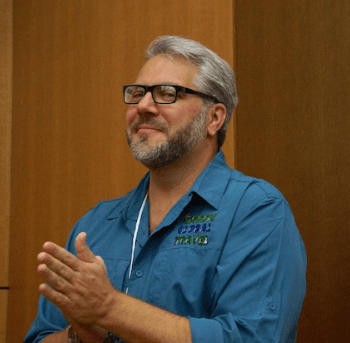 He’s an in-demand speaker at travel conferences, covering topics ranging from branding and content marketing to responsible travel and how DMOs can work with bloggers. He’s also made a name for himself as a content and influencer marketing strategist, advising companies such as Discover Corps and International Expeditions.